For a database administrator, DBM (database management) tools make tasks related to maintaining relational databases efficient and fast. Prior to the popularity of these tools, most DBA’s had to use the command line to create, edit, and delete databases. In this article, we present to you the top five most popular/most voted for database management tools. Late last month, we asked what your favorite database management tool was, and now, here are the top five most-voted-for tools. For Microsoft SQL Server database admins, there probably isn’t a better tool out there than Miscosoft’s freeware app (downloadable at $0 dollars on the Microsoft site), SQL Server Management Studio. 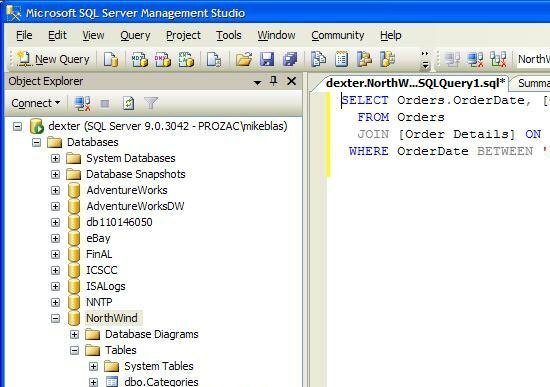 SQL Server Management Studio has a GUI that Windows OS users will find straightforward, and it has an innovative feature called Object Explorer that lets you browse, select, and perform tasks on database objects. It’s the only tool you need for creating and administering Microsoft SQL Server databases. 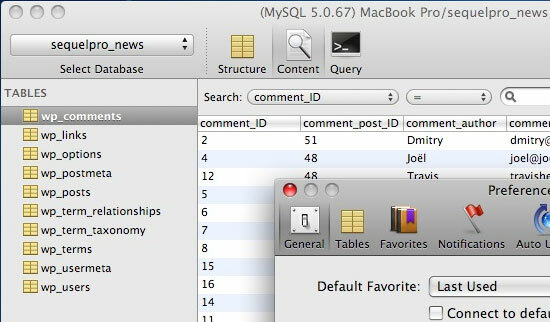 For Mac OS users, Sequel Pro–an open source MySQL database management front-end tool–is a top pick. It has a slick and intuitive GUI that keeps it barebones so that you can easily navigate the app. To get started with Sequel Pro, make sure to check out their docs page (but a word of caution, the docs is still under development at this time). 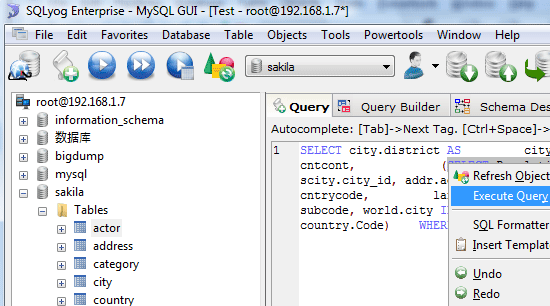 SQLyog is a GUI administration tool for MySQL developed by Indian-based software company, Webyog. It comes in two flavors: Enterprise (with the price ranging from $99 to $999) and the pared down Free Community version; to see the differences, check out the feature comparison table. SQLyog’s list of features is outstanding and unfathomable – a top-notch tool for professional database admins. Navicat for MySQL is part of the family of cross-platform (Windows/Mac/Linux) relational database management tools created by PremiumSoft. It has a visual query builder for creating complex database queries in a snap, import/export/backup tools for your databases, a report builder for printing out db queries that the boss can understand, a task scheduling assistant for scheduled execution of jobs, and much more. 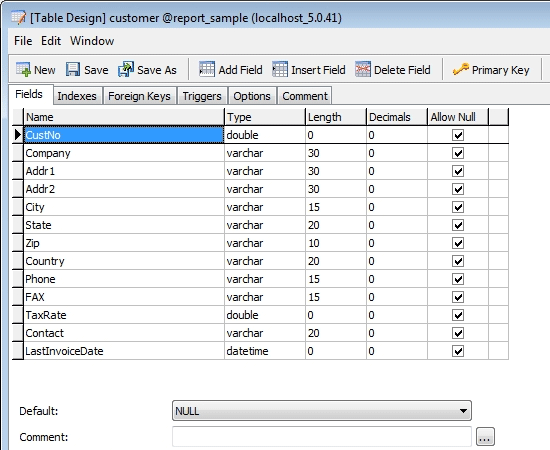 Navicat also produces front-ends for Oracle and PostgreSQL. Navicat products have a Lite version (non-commercial) and a Premium version; check out the feature matrix to see the difference in features of both versions. phpMyAdmin, the most popularly voted database management tool by you (and where my vote would have gone), is an open source web-based MySQL manager. 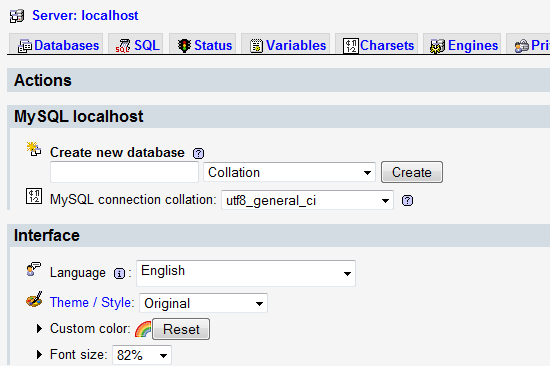 Don’t let it’s simple and aesthetically-challenged GUI fool you, phpMyAdmin packs a punch: you can create/manage databases, tables, db users, optimize and check for errors in your db tables, run queries, export/import data in plenty of file formats, and much more; couple all of that with ease of installation and you’ve got yourself a true winner. To learn more about phpMyAdmin, you should consider getting the Mastering phpMyAdmin 3.1 for Effective MySQL Management book by Packt Publishing (a book that I highly recommend). Is your favorite database management tool not mentioned? Tell us about it in the comments!